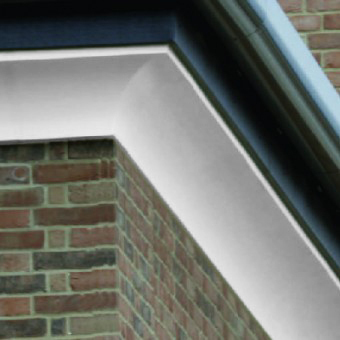 A range of external coving & cornice products from ORAC for creating luxury style roofline finishes. These products are pre-painted and ready for external installation. Description: 55mm projection x 65mm height. Comes in a 2 metre length. The No.1 choice for bringing detail to dormer roofs. A gorgeous Swan Neck cornice design, which looks good on luxury residential dwellings. Comes in a 2 metre length.